Puppet Program | Lincoln Days Celebration, Inc.
Lincoln Days is pleased to announce that a crowd-pleasing favorite activity is returning to the festival. HPC Kidz Church Ministry will be presenting a puppet program at CreekFront Park, October 6 from 11 a.m. to 2 p.m. Performances will be on the hour. HPC Pastor David Webb and Kidz Church Directors, Bro. 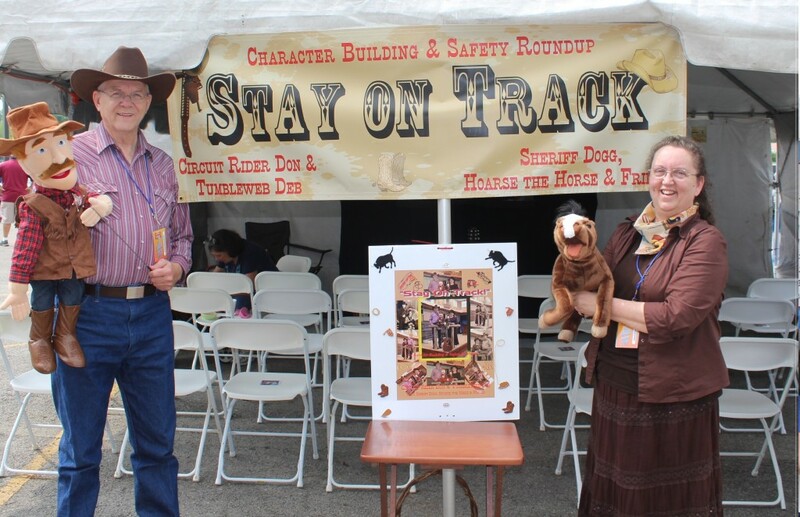 Don and Debbie Woolett invite everyone to visit their booth for a family-friendly show. This year’s puppet program is entitled “Puppets in Song” and will feature sing-along moments for youth and parents alike. The Hodgenville Pentecostal Kidz Ministry, ages 3 – 12, meets every first, second and third Wednesday evenings at 7:30 in a place built on site called “Transformation Junction”. The Kidz Ministry Teams are dedicated to teaching Christian character and Biblical values in an exciting and educational way using skits, songs and activities. Children love visits from Sheriff Dogg, Hoarse the Horse and all their (puppet) friends. Kidz and adults alike love their exciting Gospel time at “Transformation Junction”! For more information about the Children’s Church Ministry of the Hodgenville Pentecostal Church, call (270) 723-5184.